Safely securing a utility jug for transport can also be a hassle. 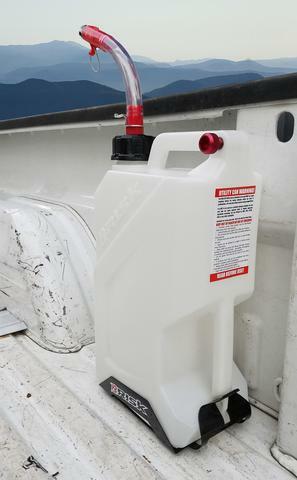 The EZ3 3-gallon fuel jug has a floor mount accessory called The EZ3 Boot. This hardened steel frame mounts easily to the floor of a trailer, van or truck bed. The EZ3 Utility jug then snaps right in place, preventing it from falling over during transit. 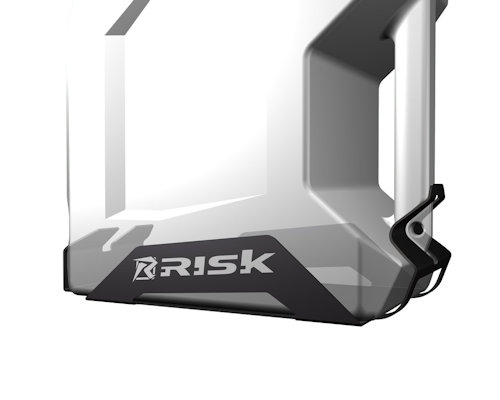 Additionally, a padlock can be placed through the EZ3 Boot to securely lock the EZ3 Utility Jug to your truck or trailer, protecting your investment. This part number is for the floor mount only.